Lonely, misunderstood and ridiculed, the Mee Pok Man runs an all-night noodle stall in a notorious part of Singapore. His patrons are mostly of hookers, pimps, outlaws and thugs. Among them is Bunny, a disillusioned prostitute who desperately wants to escape her vicious pimp, Mike Kor and his band of hoodlums. Bunny dreams often of escaping her dreary existence and pins her hopes on her sleazy English boyfriend, Johnathan Reese (David Brazil). Unknown to Bunny, the Mee Pok Man is obsessed with her. He sees her as a fragile angel whom he must rescue from the muck and filth that she is mired in. An accident brings them together. But just as the two lonely souls begin to connect, fate intervenes and deals them a cruel hand. 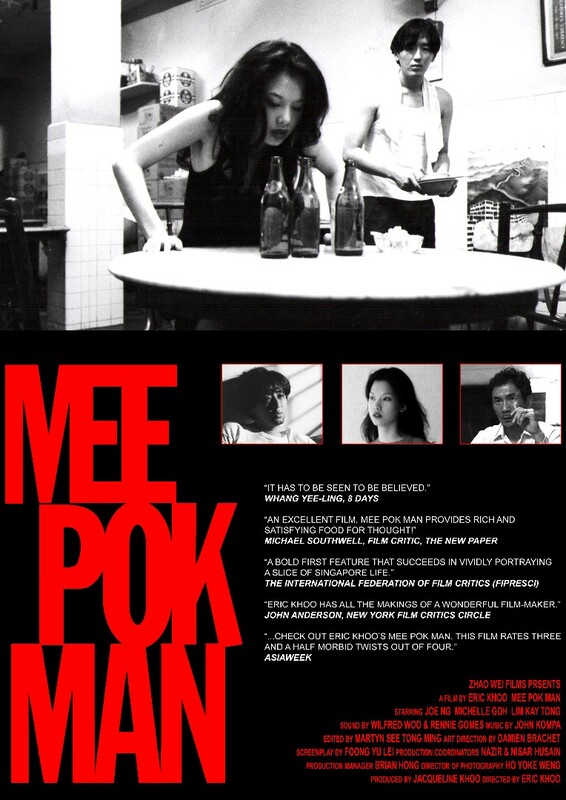 Cheated of his happiness, the Mee Pok Man rejects society and dives headlong into a relationship that is at once touching as it is bizarre.